As a rabbinic student chaplain for both Christ Hospital and University Hospital in Cincinnati, I have the opportunity to visit with patients on a weekly basis. Because my visits are infrequent, I often don’t get to see patients more than once. But about a month ago, I encountered a patient who had been hit by a car while he was walking to meet his wife for dinner at a restaurant not too far from where I live. It was dusk, the car was going too fast, and it ran into him. He experienced a moment of trauma as he crashed to the ground, and his whole life changed: broken legs, a smashed pelvis, and some broken ribs. Maxwas hospitalized for a long time, so I saw him weekly. The first time I met him, I felt scared for him. He was instructed to rest for three months, after which he could begin to move his legs, but only slight movements at first. We began a conversation about his life before the accident. He told me that as a result of his accident he was lonely and needed some sort of consistency in his life. He felt lost without the ability to move the lower half of his body. Max and I have become connected through our conversations and through his progress. He has endured many rounds of intense surgery that have resulted in some form of stability. The day after the doctors told Max that he would not be able to walk for some months, he said to me, “I want to be done, I want to be healthy, I want to feel less alone, and I want to feel less pain.” I took his hand and sat with him for a long time, not saying anything except “All of those things will come” over and over…until hebegan to say those words with me. At that moment, I knew I had created an atmosphere of consistent comfort and support that would remain with Max as a reminder of my respect for him and hope for his health and strength. I had become an important source of direction and encouragement. I find surprising similarities between Max’s experience (and other patients’ experiences) and the transition from the book of Exodus to the book of Leviticus. After the Israelites’ tumultuous journey throughout Exodus as they attempt to navigate the wilderness, the Israelites reach a sort of stability because they finally complete the construction of themishkan, the sanctuary, a place connecting them to God, a source of security and protection for them. Parashat Pequdei suggests that divine providence, represented by the cloud by day and the fire by night, is a constant source of direction when one feels lost. God, represented by a cloud, holds out the promise of a transcendent source of love and compassion for the human plight of feeling physically and psychologically alone and in pain. In the Torah, we witness the constancy of the divine presence as the mishkanis completed: a cloud appears over the mishkanas a sign of God’s love for the people Israel. So, too, do I strive to bring in the spirit of God each time I interact with a patient. I aim to be that sign of love and glimmer of hope. As a chaplain, I join these patients on their journey whether to health or, in some unfortunate cases, to the end of life. Along their journeys, many of the patients I saw, like Max, are yearning for connection, for a source of love and compassion. I aim to give them that love and compassion and a listening ear as they search for answers and relief from the pain they are experiencing. Along these journeys, I attempt to create a connection with them. This connection is consistent but sometimes not realized until I have said goodbye to the patient. Not every encounter with a patient is as successful as the one I had with Max. Not everyone is willing to connect with me so strongly. But every patient is looking for someone to hold their hand as they are told terrifying news or as they wake from a coma. Even if the connection is not as apparent, it is still with us, just like the cloud and fire. It is this consistency that helps the patient heal and move along their journey to the next step. My journey of creating connections with others and God began when I was a college student, and it is far from over. 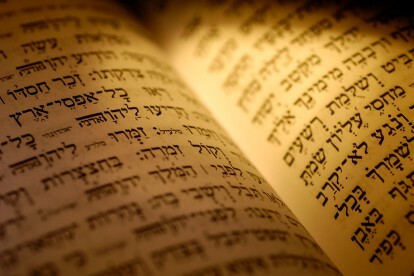 I have moved from a beginning phase to a transition phrase just as we see in the Torah. I have moved from feeling afraid and alone to feeling hopeful and supportive as I have witnessed myself creating connections with patients. The holding of another’s hand, praying together, crying together, and sitting in despair together were all scary steps to take at first. But these moments have helped me and healed me in many ways. Not only have I served as a glimmer of hope for patients, they have offered me a spark of connection as we have helped each other. I hope both I and they continue to experience and benefit from this interdependence in our lives. For it is these relationships that keep us from feeling lonely and allow us to reach a sense of wholeness. May we continue to build meaningful connections accompanied by the clouds of support and care we create for one another. Natalie Louise Shribman is a fourth-year rabbinical student from Pittsburgh who is currently completing a year of chaplaincy and pastoral education at HUC.